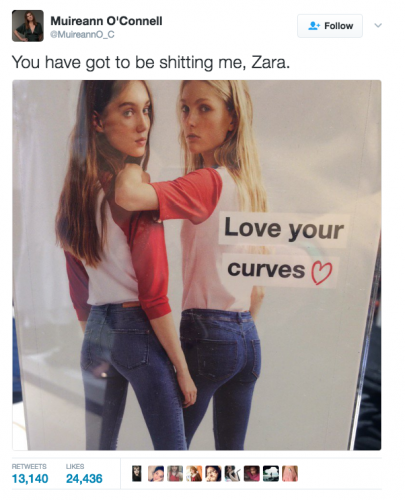 Global fashion retailer Zara’s has found itself in a spot of strife after it used skinny models to promote its range of curvy jeans for women. The poster campaign was used in and around stores and came with the marketing tag “love your curves”. 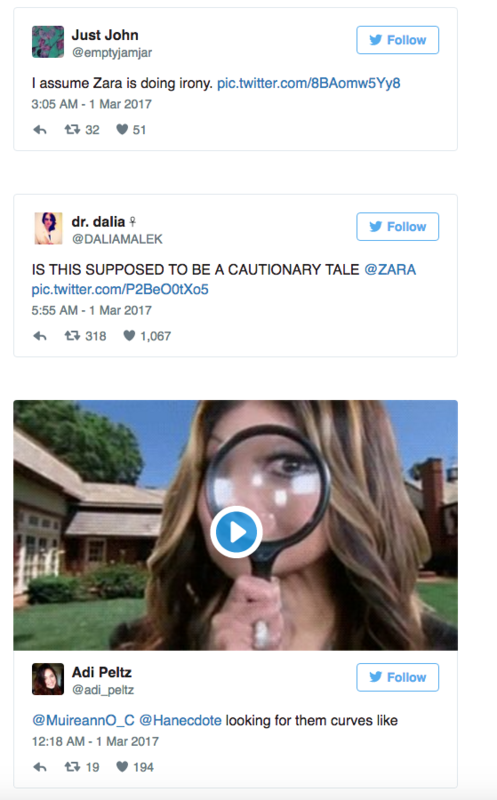 O’Connell then tweeted that it wasn’t the models fault, rather the poor work of Zara marketers. It has since been liked by 17,000 people and retweeted over 8,500 times, with several Twitter users voicing their fury at the budget fashion retailer. “All bodies are equally beautiful but… curves where? 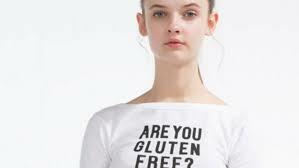 This is false advertising and could lead to bad self-image on young girls c’mon @zara,” wrote another. In 2014 it was blasted for selling T-shirts that many people felt looked like the uniforms worn by prisoners during the Holocaust. 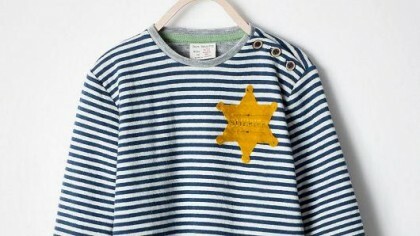 The ‘sheriff ‘ T-shirt featured blue stripes and a six-pointed yellow ‘badge’ and were eventually pulled from stores after a customer backlash. 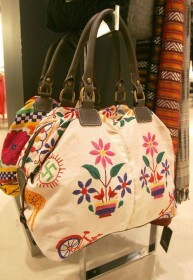 In 2007, the Spanish owned chain caused controversy after it sold a bag emblazoned with swastikas.